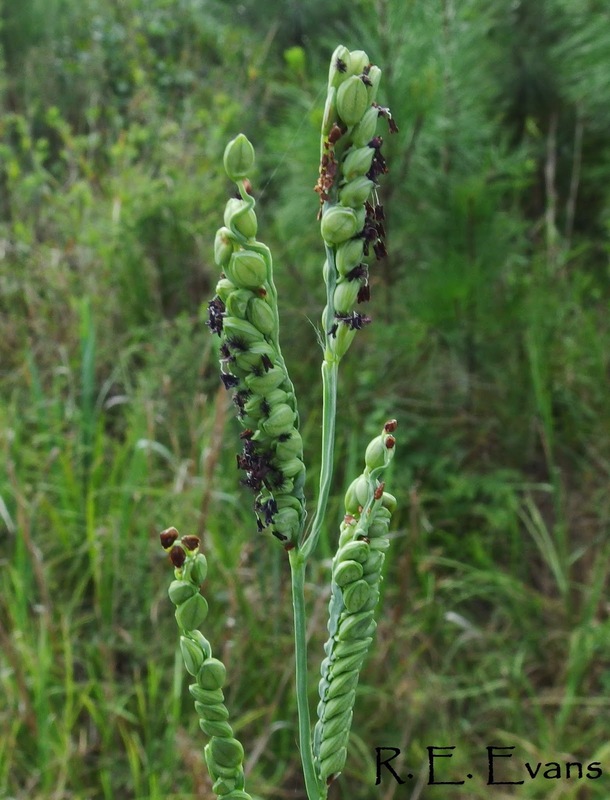 NC Plant Conservation & Beyond: Florida Paspalum - Where o where has it gone? Florida Paspalum - Where o where has it gone? Florida Paspalum (Paspalum floridanum) is one of our premier native, warm season grasses. Tall & robust, reaching heights of ~ 5 ', it produces large mature spikelets and seeds. These seeds are (or were) important food sources for quail, doves, and turkeys (Grelen and Duvall 1966). In Illinois, Verts (1965) found that all (remaining) stands of P. floridanum occurred within 25 yards of railroad rights-of-way, suggesting the sorry state of prairie-like remnants in that state. 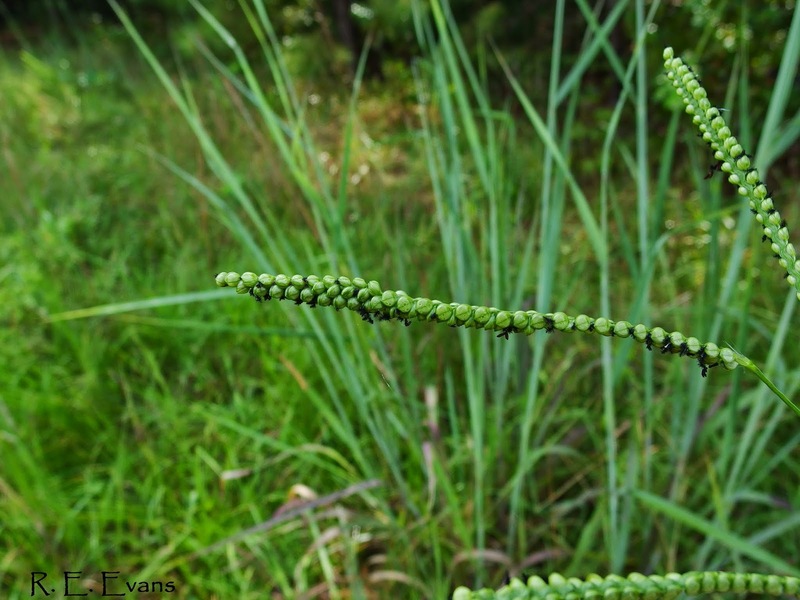 In the North Carolina Piedmont, I have observed this species in the only frequently burned longleaf pine forest remaining in the state (near Troy, NC) and in a few remnant burned woodlands near Durham, one of which has been burned biennially for 10 years. It is also found on open roadsides such as the one shown below. At a distance, the young leaves often display a bluish cast, reminiscent of Rattlesnake Master (Eryngium yuccifolium). This tall grass species occurs with the remnant & disjunct prairie flora under the power-lines known as Picture Creek Diabase Barrens where Stanley (2013) listed it as "infrequent". 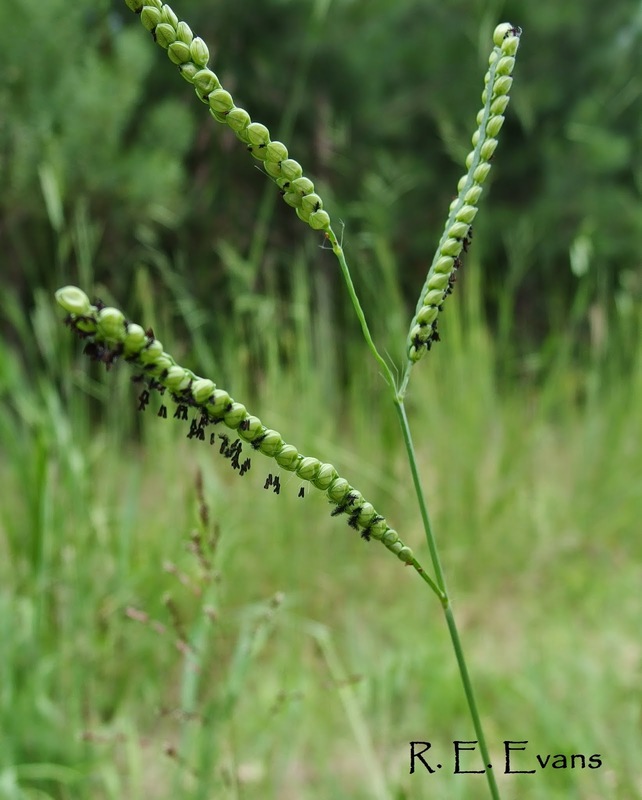 Interestingly, P. floridanum is apparently absent from a number of sites where other major prairie grasses are found in the southern Piedmont (Tompkins et al. 2010a, Tompkins 2013), as well as the infamous Suther Prairie (Tompkins et al. 2010b). 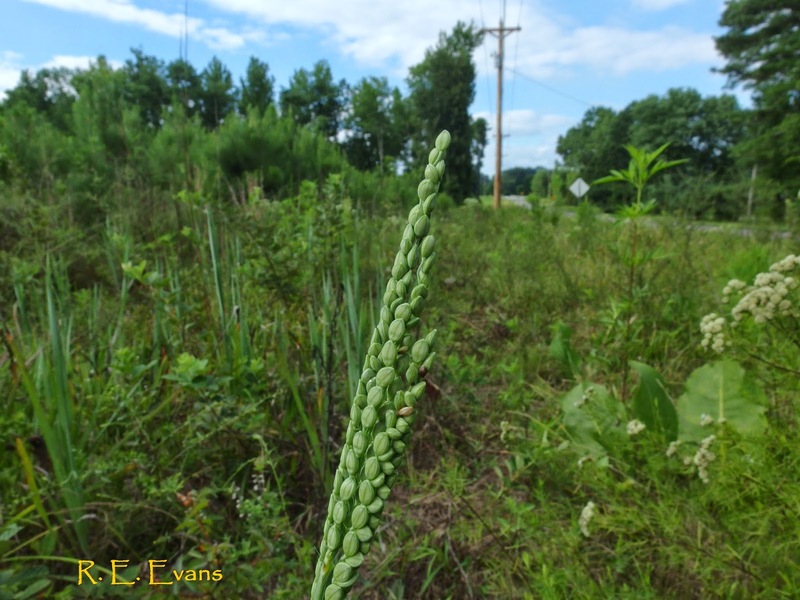 Perhaps most surprisingly, it was not identified in a recent floristic study of 31 "rural rights-of-way" across the Piedmont (Adams 2012), a study region which including the locations of the pictures included on this page. 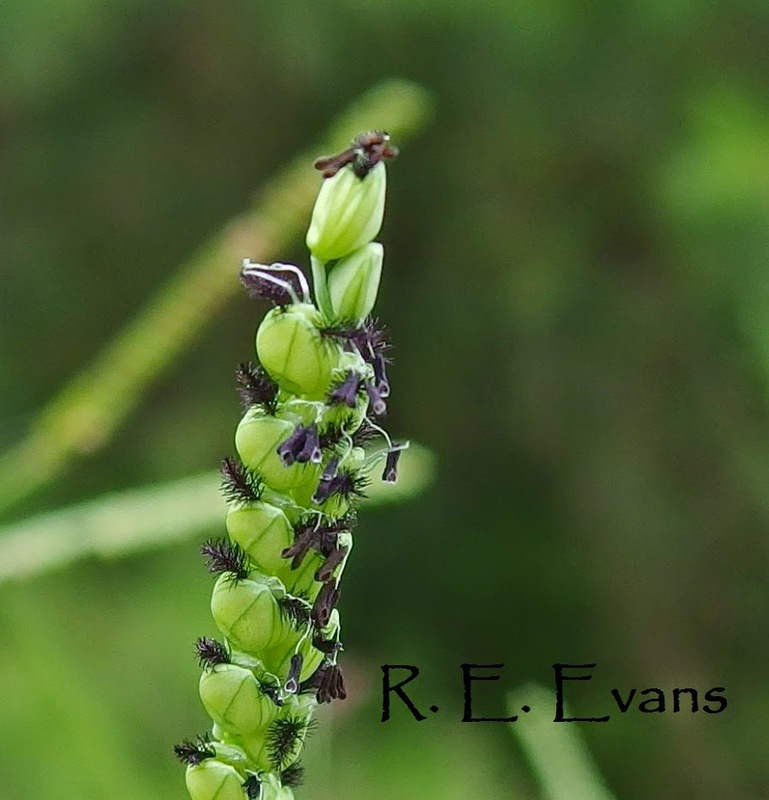 As P. floridanum begins to bolt and flower, spikelets emerge seemingly from the midst of the main stem leaves. They eventually overtop the stems but remain tightly arranged around the main stem (left below), later developing much more spreading (3-7 or so) branches (right below). Identifying Their Relevance to Historical and Contemporary Piedmont Savannas. Unpublished MS thesis. Allen C.M., S. Thames, and L. Chance, and C. Stagg. 2004. Proc. 19th North American Prairie Conference 19-22. Allen C.M., M. Vidrine, B.Borsari, and L. Allain. 2001. Proc. 17th North American Prairie Conference 35-41. Campbell, J.J.N., and W.R. Seymour. The Vegetation of Pulliam Prairie, Chickasaw County, Mississippi: a Significant Remnant of Pre-Columbian Landscape in the Black Belt. Journal of the Mississippi Academy of Sciences 56:248-263. Collins, O.B., F.E. Smeins, D.H. Riskind. Plant Communities of the Blackland Prairie of Texas. Drew, M.B. L. K. Kirkman, and A. K. Gholson. The Vascular Flora of Ichauway, Baker County, Georgia: A Remnant Longleaf Pine/Wiregrass Ecosystem. Castanea 63: 1-24. Kelting, R. W. 1982. The Wah-Sha-She Prairie near Asbury, Jasper County, Missouri. Proc. 8th North American Prairie Conference 80-83. Orzell & Bridges 2006. Floristic Composition of the South-Central Florida Dry Prairie Landscape. Proceedings of the Florida Dry Prairie Conference. Phillips, T.C., S. B. Walker, B.R. & M.H. MacRoberts. 2007. 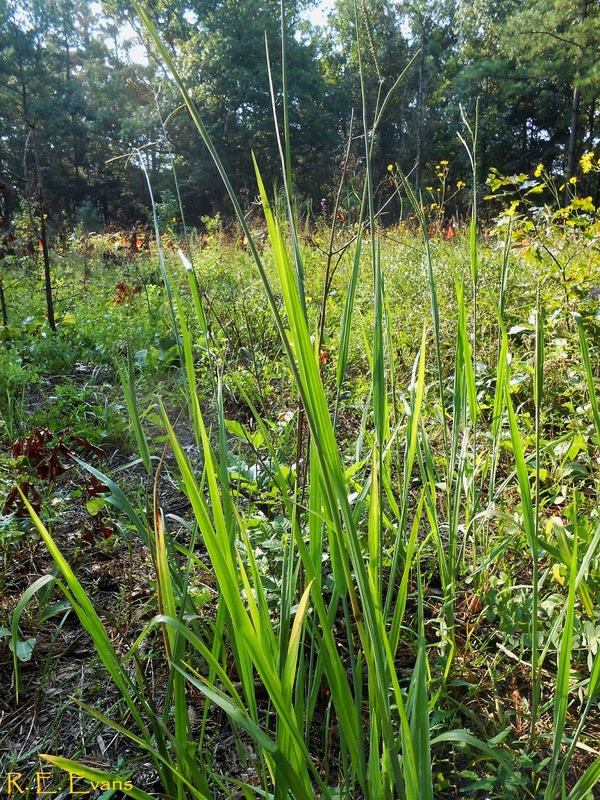 Vascular Flora of a Longleaf Pine Upland in Sabine County, Texas. Phytologia 89:317-338. Stanley, J. S. 2013. Guide to the Vascular Flora of Picture Creek Diabase Barrens (Granville County, North Carolina). Unpublished MS Thesis. Tompkins, R.D., W.C. Stringer, K.H. Richardson, E.A. Mikhailova and W.C. Bridges, Jr. 2010a. 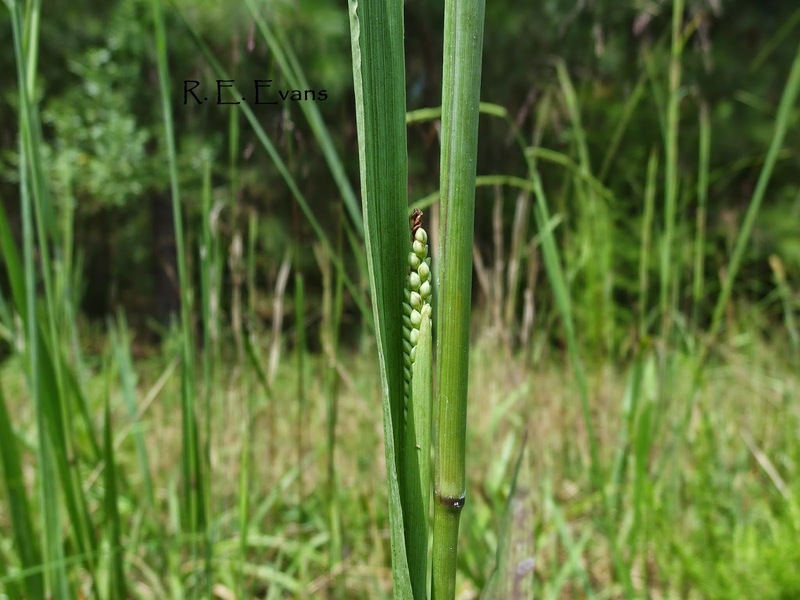 Big Bluestem (Andropogon gerardii: Poaceae) communities in the Carolinas: Composition and ecological factors. Rhodora 112:378-395. Tompkins, R.D., C.M. Luckenbaugh, W.C. Stringer,K.H. Richardson, E.A. Mikhailova and W.C. Bridges, Jr. 2010b. Suther Prairie: Vascular flora, species richness and edaphic factors. Castanea 75:232-244. Tompkins, R.D. 2013. Prairie-relict communities of a Piedmont monadnock. Castanea 78:185-197. Thanks for a very interesting blog, with nice photos. It would be helpful to know the dates when the photos were taken.